Supplied for one or two man use. Conforms to PM28 2nd Edition. 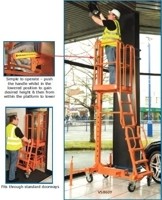 We offer the Eco Lift and Versa Step manually operated mobile access platforms. A range of mobile, folding Podium Steps, each fitted with an all round lockable guardrail system with non slip platform. Fits through a standard doorway. 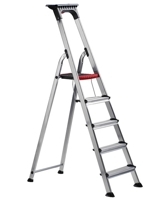 A range of Altrex and Svelt step ladders covering domestic and professional useage to suit a variety of working heights. 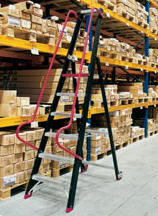 A range of Svelt aluminium step ladders with a handrail and guardrail. 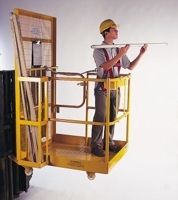 A range of combination extension ladders. 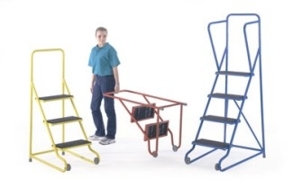 A range of mobile aluminium steps for warehouse and factory use. A range factory and warehouse steps and platforms. 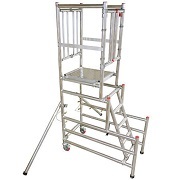 A range of mobile access scaffold towers to suit low, medium and high level applications.